Tsutomu Ishizuki is a rock musician born in 1977 in Aichi Prefecture. In 1992, he formed FANATIC◇CRISIS as the vocalist, lyricist and composer. In 1997, the band made their major debut. 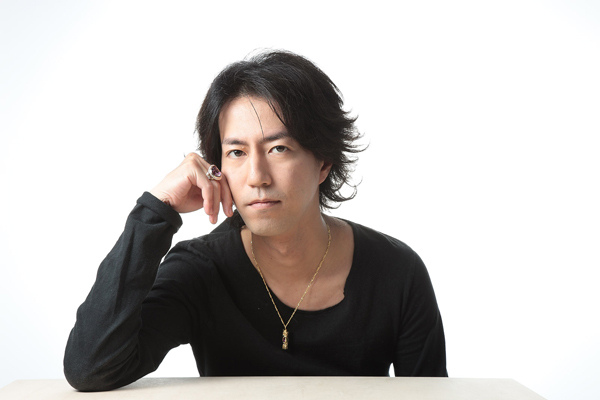 He has been active ever since as the front man and by 2004, he also became active in providing songs for projects such as ‘evergreen Inochi no Utagoe’ for Japanese Red Cross Society, as well as for various artists. However, FANATIC◇CRISIS disbanded at the live held at Tokyo Bay N.K HALL in 5/2005. After the disbandment of FANATIC◇CRISIS, he has been active in jewelry designs and art projects. With the release of his DVD single “365 no Kiseki” in 9/2012, he restarted his activities as a musician in 7 long years.